If you are considering collecting specific holiday postcards, consider collecting antique Halloween postcards. Collectors enjoy the unusual and sometimes quirky illustrations and photographs depicting this holiday. Whether you love the joyful pumpkins and small children or scary witches and black cats, there are many wonderful Halloween postcards to choose from. You've found some great Halloween postcards but you're not sure what they are worth. The first thing you should do with a grouping of vintage postcard is to arrange them by illustrator or the art company that printed them, and then by the date. Certain postcards are more valuable depending on who illustrated them or printed them. Rarity in postcards also drives up the value. As with any collectible, those who want to purchase them determine the value. This is why it is important to collect postcards that appeal to you personally. The resale market is fickle at best; so it is best to collect cards that you enjoy looking at and won't mind displaying or storing. Ways to discover current market prices include following similar items on eBay for several weeks or by frequenting antique postcard dealers on the Internet. This will give you an idea of the current market conditions for this collectible item. Referring to price guides and books on collecting postcards can also be helpful. If you've just begun collecting antique Halloween postcards, you will begin to notice similarities in them, especially the style of the illustrations. Many antique postcards were designed and illustrated by certain popular artists or particular card companies. Ellen Clapsaddle - produced over 3,000 postcard illustrations for the International Art Company. Her illustrations usually feature small children engaged in various holiday activities. Halloween postcards illustrated by Ellen Clapsaddle are highly collectible. Gibson Art Company - printed few Halloween postcards, which are now considered rare and highly collectible. They were printed in either sepia or black and white. The Halloween cat cards had orange backgrounds and many of the other postcards had pumpkin borders. Two groups of the cards printed by this company are easily identifiable by the artist signatures, which appear on their cards. These artists were Bernhardt Wall and Kathryn Elliott. These postcards were printed from 1907 to 1917. Raphael Tuck & Sons - a prolific printer of postcards from the mid-1800's to the early 1900's. They produced a wide selection of holiday cards, notably their Halloween cards that are admired today. These postcards were illustrated by artists in America, but were printed in Europe, and then shipped back to the states. 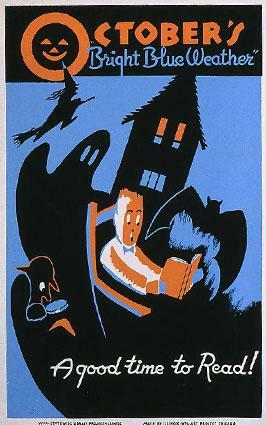 There are many other publishing companies and art companies that produced Halloween postcards. Darling & Co., Robson & Co. and Stengel & Company are just a few of the many companies that produced Halloween postcards at the turn of the century. Beginning collectors often wonder where they can find vintage postcards that are reasonably priced. There are several places where you can start looking for vintage finds. Estate Sales- this is a great place to find large collections and albums full of postcards. The older the items are in the general sale, the better your chances are to find lots of postcards. eBay- always a great place to find antiques, especially a wide selection of vintage postcards. Prices on this site vary, from 99 cents and up. Antique stores- another place to find antique postcards. If your dealer is on the ball, they'll be arranged by individual holiday. Collecting postcards can be a rewarding and fun hobby. It reminds many collectors of trading card days when they were children. Collect postcards that you really like, not just ones that you think will become valuable in the future. Use price guides and collector guides to help you learn the different artists, art companies and publishing companies that published Halloween postcards. Finally, have fun shopping for postcards. You may even decide to start collecting postcards from other holidays as well!